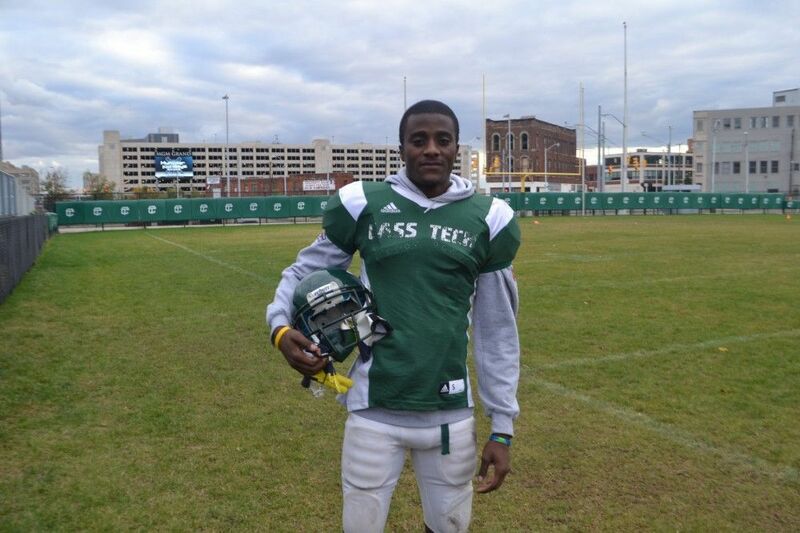 Cass Tech High’s Jourdan Lewis has a knack for catching footballs and making big plays. In the Technicians’ 49-0 victory against Mumford, Lewis twice caught passes for touchdowns and returned a kick 60 yards for another score and has been named the Detroit Public School League Proud Strong Learner of the Week. Lewis, a 5-11, 165-pound wide receiver and cornerback, came into the spotlight last year as part of Cass Tech’s Division I state championship team that dismantled Detroit Catholic Central, 49-13, at Ford Field. His 46-yard TD reception from Jayru Campbell with 11:13 remaining in the fourth quarter gave Cass Tech a 42-7 lead, instituting a running clock the rest of the way by virtue of the 35-point mercy rule. The University of Michigan recruited Lewis as a defensive back and he gladly committed early to the Wolverines. “I can just focus on football and not worry about the recruiting process,” he said. Through seven games this season, Lewis has 17 catches for 487 yards and eight touchdowns. He also returned a punt for a TD and, defensively, has two interceptions. “I think he’ll be an impact player at whatever position they decide to play him,” Wilcher, a former Wolverine player, said of Lewis’ prospects at U-M.
A student with a 3.0 grade point average, Lewis says he plans to major in graphic design with a minor in civic engineering. In his spare time, he likes to draw. “I’m doodling every time I have some free time,’’ he said. Lewis is one of six Technicians seniors who have committed to accepting Division I scholarships. He’s also been selected to play in the U.S. Army All-American game and is gratified to be named the latest Proud Strong Learner of the Week. “It feels good that all my hard work is finally being recognized,” he said.